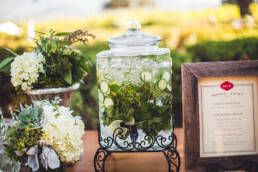 Welcome guests to your event with a special beverage – alcoholic or non – to start your event out with a hospitable twist. Omni Catering can provide delicious welcome beverages or accompaniments for your bar. We offer a wide variety of specialty cocktail mixes that can spice up any event.